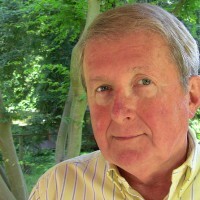 Jay Cross has been credited with inventing the term ’e-learning’ and continues to be a pioneer in both the practice and theory of technology in learning. After developing the first courses on the hugely successful University of Phoenix, he set up the Internet Time Group. A tireless thinker and presenter on learning, he has pushed the learning world to think seriously about informal learning, and working smarter. Workflow learning ties learning into the actual workflow within an organisation. According to Cross it takes us to support and on-demand services that are designed to exist within the real tasks we do in our everyday work.Out of this work on workflow learning came an even wider, and what he regards as more important set of reflections. Averse to detailed semantic analysis, he compares the difference between formal and informal learning to the difference between taking a trip on a bus and driving your car. In the former, you’re on a set route and not in the driving seat, in the latter you go where you want, when you want and on the route you choose. His reflections on the failure of training to really recognise informal learning is well represented in his oft-used ‘spending paradox’ slide. 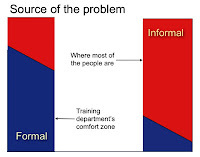 Cross is often ahead of his time and with one simple, diagram, he opened our eyes up to the fact that most learning is informal yet almost all the spend is on formal courses. He invites us to think about learning in a more naturalistic way, seeing learners as real people in real organisations who use real tools in real networks, both offline and online. 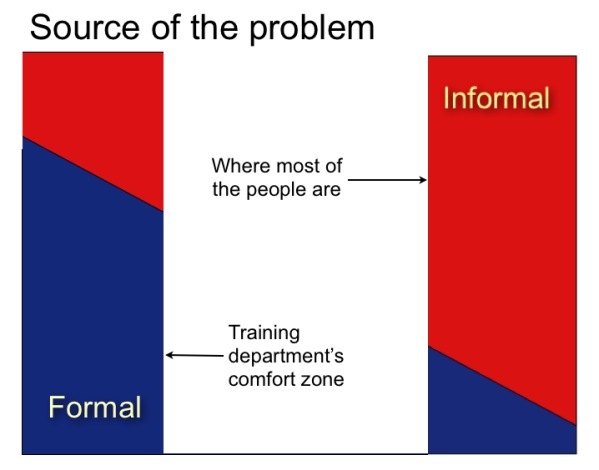 Informal learning is driven by conversations, communities of practice, context, reinforcement through practice and now social media to “optimise organisational performance”. Blogs, wikis, podcasts, peer-to-peer sharing, aggregators, social media and personal knowledge management are all emergent phenomena, unlike the top-down tools and content that traditional e-learning has provided. When we look at the internet we see powerful tools and techniques emerge through genuine use. It is these, he believes, that point us towards success in learning. Note that he has never claimed that formal learning should be abandoned, only that informal learning needs to be recognised and supported. There’s still a need for underpinning learning with good content, from books to full courses, especially for novices and business critical training such as compliance. You can’t let people who don’t know what they need to know, drift, so there’s a time and place for structured, formal learning. Cross simply wants us to also identify and use natural pathways, the unofficial, unscheduled events that take place in real contexts. For cross this is underpinned by personal, intrinsic motivation. Cross has all the charm of a Berkley liberal but when it comes to training he has bite. What matters is execution and performance, real business objectives and metrics ”if it doesn’t make business sense, don’t do it”. He agrees with Roger Schank that “training is really schooling” and therefore “often superficial, boring and, irrelevant” and “as not reinforced by doing often forgotten”. Rather than an unbalanced focus on top-down classes, tests and certificates, networked learning organizations need blends of workplace learning that include the experiential, unplanned, and informal. This has to be done systematically and not left to chance, which is where ‘Working smarter’ steps in. Cross is sensitive to the language of learning and rarely uses the word ‘learning’, these days as he thinks it leads to the default - schooling. Even his old distinction between formal and informal has given way to ‘push and pull’, where training is ‘push’ and learning is ‘pull’. Even ‘e-learning’ is avoided as it also leads to a default of dull, page-turning courses. Like Schank, he’s keen on a more experiential approach that doesn’t simply place content centre stage. Far from decimating the training department, he wants to see learning as a constant in organisations, not only inside the firewall but for all part-timers, freelancers and partners. The wall between company and customers is also crumbling, creating a new culture of customer education. Characteristically, Cross has moved on to embrace the idea that happiness and well-being underpin business success and promote a culture of learning. The danger here is to jump on the Seligman bandwagon, just as the focus on ‘happiness’ is fading. Nevertheless, Cross is no slouch and may very well provide us with a deeper understanding of how to get learning embedded and taken up on a personal level within organisations with a subtler psychological approach. In this age of greed, corruption and alienation, we may be in need of his advice. Cross has contributed much to the development of new ideas in learning and e-learning, especially in his push to get workflow and informal learning recognised as important features of the learning landscape. More than just the theory, he has actively engaged in debate and widely disseminated his ideas. Cross asks us to reflect on the obvious, but shocking, fact that almost all of our attention (and spend) goes on the formal side, while the majority of the action is informal. Much to his credit he does not abandon formal learning, but asks us to consider the accelerating role of technology in on informal learning. He moves us beyond traditional LMS and content model and beyond blended learning to a newer more naturalistic model of learning, based on real behaviour and contemporary technology. Lastly, and I say this as someone who has learnt a lot from Jay Cross, when he sees a weakness in his theories , he’s not afraid to admit he got it wrong and move on. In this sense he is a model of honesty and authenticity and exemplifies the core idea of personal development, something he has always held dear. I first saw Roger Schank talk in Denver, Colorado, over 25 years ago and have barely disagreed with a word he’s said since. Schank is a critic of the current educational system, pointing to 19th century curriculum, teaching by telling, lectures, memorisation and standardised tests, as structures and techniques that distort learning. I’ve seen him ask audiences of academics to tell him the quadratic equation, taught to most children – they can’t. I’ve seen him ask audiences about the safety briefing on a 737, something they’ve seen dozens of times – they can’t. With characteristic boldness, Schank often starts with the statement, “There are only two things wrong with education: 1) What we teach; 2) How we teach it.” So let’s look at his work through these two lenses. Schank’s research took him back to the 1892 curriculum in the US, where he found that the current subjects were fossilised into a curriculum designed for testing and to filter students for university. The very idea of a fixed curriculum seems odd to Schank, as it fixes knowledge and we mostly forget the stuff we’re asked to remember. His bête noire is ‘maths’. Our obsession with maths and standardised tests impoverishes education. In fact the two are linked. Maths is popular because it is easy to test. Driven by PISA tests, which he debunks by showing that their supposed relevance is bogus, the world has become addicted to tests not performance. Algebra, in particular, he sees as a hangover from a fossilised curriculum. Similarly with the sciences; physics, chemistry and biology, STEM subjects, he thinks, are overrated. Sure we need to learn how to write well in English but that comes through regular practice, not occasional essays. As for languages, Roger has lived abroad and as he speaks French, he finds the French taught in school laughable, as it rarely results in any real success and is not the language spoken in France. The classroom, he claims is not the place to learn a language, especially in a country where there’s no real opportunity for immersion or practice. In short, school he thinks, has turned into a funnelling process for Universities. This is a big mistake. His solution is to have lots of curricula and allow people to follow their curiosity and interests, as this is what drives real, meaningful and useful learning, as opposed to memorisation and hoop jumping. Organise school, not around subjects, but cognitive processes that match what we do in the real world. The idea that everyone should go to college he thinks absurd. It’s fine for some but not all. With impeccable, academic credentials, and a background in cognitive science, computer science and education, he explodes the view that Higher Education has of itself, as the pinnacle of teaching competence and achievement. Professors like research and mostly see teaching and undergraduates as something to be avoided. In any case, he thinks, they’re often very poor teachers, relying on stale lecture series that teach what they research. To cut to the quick, Schank things Higher Education is a con. You pay through the nose for not very much more than a three or four year vacation and a good social life. The courses are poor and the system designed to select researchers. Schank has a strongly libertarian view in that he wants to abandon lectures, memorisation and tests. Start to learn by doing and practice, not theory. Stop lecturing and delivering dollops of theory. Stop building and sitting in classrooms. We need to teach cognitive processes and acquire skills through the application of these processes, not fearing failure. What most people fail to realise about Schank is that his recommendations are based on a lifetime academic interest and contributions to cognitive science and a deep understanding of these processes. Based on an examination of language and memory, Schank explored the idea of personalised scripts in learning. This personalised, episodic model of memory led to a theory of instruction that exposed learners to model scripts by allowing them to experience the process of building their own scripts. We need scripts for handling meetings, dealing with customers, selling to others and so on. Knowledge is not a set of facts, it’s a set of experiences. This is not taught by telling, it is taught by doing, ‘there really is no learning without doing’. Interestingly, recent memory research confirms this view. He rejects the idea that we have to fill people up with knowledge they’ll never use. Too much education and training tries, and fails, to do this. We need to identify why someone wants to learn then teach it. In this sense he puts motivation and skills before factual knowledge. One can pull in knowledge when required. Meaningful stories (scripts) lie at the heart of his instructional method. These contextualise learning and link to previous schema. A fierce critic of lectures and classroom education and training, he has developed simulation methods for exposing learners to script building environments, where they can learn by repeated exposure to failure and ultimately success. Expectation failure is when things turn out to be different from what you expected. This is when you learn. Breaking with traditional linguists and theorists of learning, he sees learning as a difficult and messy process, where failure is the primary driver. We match incoming problems to past experiences. Case-based reasoning is therefore instructive, where we learn by doing what we want to do. We also learn by making mistakes and reflecting on what those mistakes were and what we can do about them. Learning by doing, works. Learning by telling, doesn't. In e-learning this means using case-based instruction, emotional impact, video, role-playing, storytelling. Learners are put into situations that seem realistic to them, to solve problems, and possibly fail, and have someone help them out. Design is hard, reworking the thing into a case-based scenario; something that seems like a goal someone has, then to helping them accomplish it - that's learning. He prefers to deliver learning from mentored experience, not from direct instruction presented out of context. Fictional situations are set up in which students must play a role. They need to produce documents, software, plans, presentations and such within a story describing the situation. Deliverables produced by the student are evaluated by team members and by mentors. The virtual experiential curricula are story centred. Story-Centred Curricula are carefully designed apprenticeship-style learning experiences in which the student encounters a planned sequence of real-world situations constructed to motivate the development and application of knowledge and skills in an integrated fashion. In his latest book Teaching Minds: How Cognitive Science Can Save Our Schools he focuses on cognitive processes as the basis for learning interventions. These are the skills one needs to master. By allowing users to fail in controlled environments, he saw that instruction is not about telling, it’s about real or fictionally constructed experience, involvement and practice, including the experience of failure. In fact most current online education he sees as just a change in venue, not a change in method. He argues for much more problem solving, simulation and learning by doing. He is also critical of MOOCs largely “just lectures on line interrupted by quizzes and discussion groups” and he has little time for Coursera and Udacity, which he sees as replicating poor college courses. Schank has turned most instructional methods on their head by rejecting the subject-led, academic approach for a more meaningful, experiential, learn by doing method. Using sound principles in cognitive science, he uses case-based scenarios and stories are used to create contexts in which learners succeed, and just as importantly fail. As time passes, Schank seems to become more and more relevant. He’s seen as a heretic but most of the actors in education know in themselves that he’s exposing some deep truths. Schank, R.C. (1975). Conceptual Information Processing. New York: Elsevier. Schank, R.C. (1982a). Dynamic Memory: A Theory of Reminding and Learning in Computers and People. Cambridge University Press. Schank, R.C. (1982b). Reading and Understanding. Hillsdale, NJ: Erlbaum. Schank, R.C. (1986). Explanation Patterns: Understanding Mechanically and Creatively. Hillsdale, NJ: Erlbaum. Schank, R.C. (1991). Tell Me a Story: A New Look at Real and Artificial Intelligence. New York: Simon & Schuster. Schank, R.C. & Abelson, R. (1977). Scripts, Plans, Goals, and Understanding. Hillsdale, NJ: Earlbaum Assoc. Schank, R.C. & Cleary. C. (1995). Engines for education. Hillsdale, NJ: Erlbaum Assoc. Schank, R.C (2005). Lessons in e-Learning. Pfeiffer. 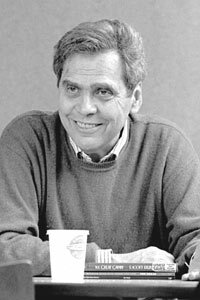 New York University’s Neil Postman was one of the first academics to put his foot through the TV screen and subsequent screen-based computer culture. Although best known for his work on television as a cultural and educational force, he has a much wider reach into the broader issues of teaching and schooling. He warns us against the unthinking adoption of technology and schooling without purpose and values. His voice is a valuable antidote to the unthinking adoption of technology in learning. Electronic media may be all pervasive, this is not to say that it is always good for learning and cultural development. In this sense, he is in line with McLuhan in seeing the medium as a force as important as the message but he is much more judgemental than McLuhan. In his wonderfully titled Amusing Ourselves to Death, Postman warns us against mistaking the rhetoric of a broadcast medium for learning. Stripped of dialogue, the flow of television strips us of our ability to reflect, think, deduce and resolve issues. As a top-down medium It simplifies, caricatures and stops us from learning. This attack on pedagogy which relies on long, linear media, such as the one hour lecture, TV programmes and overlong video is sound. Psychologically, the suspension of disbelief one finds in TV and film is not often useful if prolonged, as the mind does not have time to stop, reflect, record and retain the knowledge. It can be fun, and create the illusion of learning, but it’s mostly a forgetting game. Where Postman fails is in carrying this critique over to new asynchronous media such as YouTube and iTunes has solved this problem, by replacing the idea of the half-hour or one hour programmes, whose length, like the one hour lecture, is designed for scheduling rather than learning. YouTube has shown us that video content needs to be as long as it needs to be, the shorter the better, in line with the maxim that, in learning, less is more. However, his main argument is that teaching, as a form of dialogue, is being replaced by entertainment or amusement. It is not clear that teaching was or is a dialogue-based activity. The staple one hour lecture in higher education and endless presentations and talking by teachers in other contexts suggest that it is far from a dialogue-driven activity. John Hattie, the master of evidence-based teaching, shows that teachers talk 70-80% of the time and the most common activity in the classroom with children is ‘pretending to listen’. However, there is something in this argument about amusement, and while the affective or emotional element is important in learning, this can descend into fun for the sake of fun. Humour is surprisingly resistant to retention and the adrenaline driven world of games, along with the additional cognitive load of knowing the rules and extraneous activity, may not result in productive learning. Similar arguments can be put forward for social networking, where it is easy to get sucked into bouts of casual communication. He introduced an interesting concept around media use, the idea that media distances us from relevant, largely local information that leads to action. We become desensitised consumers of information that diminishes our social role. It is a promising concept, that of media relevance, but Postman, as usual derives and ought from an is and sees media as having moral import. This theme, of the deluded masses, deafened by the din of information goes way back, and its rise between 1800-1939 is well documented in John Carey’s The Intellectuals and the Masses. Postman didn’t live long enough to see that social media brings this ratio into play, with its focus on social groups and action. The Arab Spring, for example, would surely out social networking beyond his critique. Another cardinal theme in his work is the effect of media on childhood. In The Disappearance of Childhood and Childhood: Can It Be Preserved, he identifies the creation of childhood (7-17) with print and reading, certainly since the Renaissance. Television, he claims, destroys that idea of childhood and blurs the adult/child distinction, making children behave like adults and adults like children. Like many of Postman’s big arguments, he takes a grain of credibility and universalises it into a general statement about an entire medium or culture. This is an interesting argument as one could argue that the internet with its culture of games, social networking and mobiles, may well be reintroducing the separation of children from adults in the way that Postman claims happened with print. Alternatively this may be no more than a temporary phase, as young adopters turn into adults and the demographic of technology use drift upwards. Schools, he states, along with the family, protect us from this unthinking adoption of technology. They preserve the values of childhood, rooted as they are in the culture of teaching, dialogue and print. This is not to say that schools are all good. Schooling is simply the best we have come up with as a form of introduction to the adult world. In The End of Education he defines the role of schools as both dissemination of values and knowledge as well as the skills of reflection, critique and debate, but fears the effects of technology and claims to see the tangible evidence of decline. He is right factually, in that schools do preserve a sense of extended childhood but it is not clear that this is necessarily a good thing. Of course, schools have always used technology, from pens, pencils, paper, books, blackboards, slates, whiteboards and now computers. This is entirely reasonable. To isolate schools from the real world is to keep children in a state of isolation, something he accuses media of doing to adults. His wider research into technology in culture is well represented by Technopoly: The Surrender of Culture to Technology. Technology is both good and bad. It becomes dangerous when we look to it for the authentification of our culture or allow it to determine our lives through the joy of consumption. He is a jealous guardian of the culture of print and reading and has grounded much of his theory in a defence of the language of dialogue against the language of technology and consumerism. It is through reading, he thinks, that our true educational development takes place. This is disingenuous. It is to identify, and therefore confuse, text with print and paper. A printed book is a physical delivery mechanism, the text its real contents. New media have separated the two and made the entire canon available, largely for free as downloadable texts. One could also argue that there has been a renaissance in reading and writing with the advent of computer and mobile technology. Young people write far more frequently than they ever did in the past. They txt, email, post and comment on social media. Postman is far too quick to pounce on new media, when it supports many of the virtues he espouses. In a general sense, technology has freed us from the chains of physical labour, disease and poverty. As usual Postman sees the piston of technology as half empty rather than half full. We should not mistake Postman’s critiques of television and other media as complete condemnation. He is not, as some claim, a simple reactionary. He is asking us to think deeply about the effects of technology on both learning and culture. To read Postman is to read a sharp mind who knows how to challenge lazy assumptions with deep questions. Technology can both impress and oppress. He is careful to defend the traditional without being naively conservative. On the other hand he is does seem to fall into the trap of seeing anything old as intrinsically good and anything new as intrinsically bad, which limits his analysis. Postman, Neil (1982). The Disappearance of Childhood. New York: Delacorte. Postman, Neil (1985). Amusing Ourselves to Death. New York: Penguin. Postman, Neil (1992). Technopoly: The Surrender of Culture to Technology. New York: Knopf. Postman, Neil (1997). The End of Education: Redefining the Value of School. New York: Knopf. As we drove down the small country roads to Bovingdon, we heard them first, then started to glimpse them through the trees, rearing up and down on rough tracks. Suddenly, one was coming straight at us on the road, then two more. The area was crawling with tanks and armoured vehicles. Every time we saw one we shouted – tank, tank! What a simple, solid word. Our destination was The Tank Museum. And this is the fine statue at the entrance. I like technology, usually the smaller stuff, computers, iPads, mobile phones etc. What I wanted to know was whether my work in researching new technology, or techn-ology (the science of technology) applied to something as big, bad and brutish as tank technology. A tank is a moving, armoured vehicle with a gun. 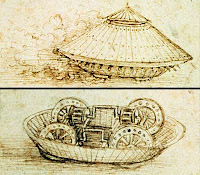 So who first invented the tank? 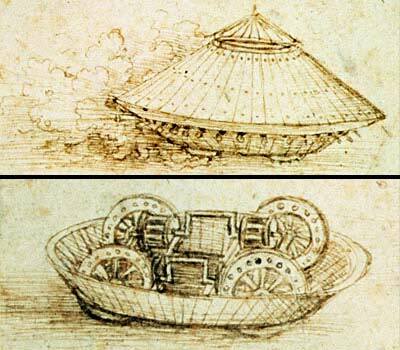 Sure the Carthaginians, Greeks and Romans had armoured elephants but it was Leonardo da Vinci who first imagined the true tank, a circular, sloped cone with wheels that allowed it to move in any direction with a turret and gun. But it was the British at the start of the First World War who developed the first metal, tracked tank to breach German trenches. These huge, trapezoid beasts were to change the face of warfare for the next 70 years. The first tank battles were messy. More men died of carbon monoxide poisoning than enemy fire. They were noisy, smelly, hot, difficult to manoeuvre and easily captured. You can crawl inside one in the Museum and see that it really is a metal tank – like being inside a metal box with sharp angles, rivets and a huge, uncovered engine, taking up most of the space. Just a small hole to see and hand rods to steer. Eight men crews were needed for gear changing, steering and gun handling, with male tanks (big side guns) and female tanks (machine guns). The Germans were truly shaken by this new weapon and all sides in future wars were to adopt the technology as an offensive weapon. The tank played a cardinal role in the Second World War and the threat in the Cold war was tanks rolling across Europe. In the Israeli Arab wars they played a significant role as they did in the Gulf wars. Tanks have a special allure, both admired and feared. You need only recall the screaming, screeching, banshee sound of the German tanks near the end of the film Saving Private Ryan, to appreciate the feeling of fear and awe they inspire. Later British tanks had bus engines, designed to make a huge amount of noise, just to terrify the enemy. You can tell by their potent names; Panzers, Tigers and Leopards, that these were predators. As you walk round the Tank Museum they seem dark, impenetrable and lethal – and that’s exactly what they are. The tank is really several core technologies in one, with lots of add ons. The core technologies are the engine, gearbox, wheels, tracks, armour and gun(s). All of these had been developed in other contexts. Even now these are the essential, simple ingredients. But it’s all about payoffs. You can have great, heavy armour but you’ll need a reliable and powerful, fuel hungry engine. You can have great robust tracks but you’ll need to drive along country roads. You can have the best tank in a battle but if it’s up against many more, cheaper to manufacture tanks, you’re a gonner. So it’s all about comprimises. The accessories are wonders in themselves, those clusters of little tubes that eject smoke bombs to form a circle of smoke around the tank to hide behind. Challengers simply add dye to their fuel and use the exhaust smoke to do the same job. The slatted armour that catches RPGs in mid-air so their fuse doesn’t hit the armour. You literally pull them off like thorns and disarm them. What the tank became was an all-purpose fighting machine with troops, guns, defence, navigation and surveillance equipment all rolled into the one vehicle, taking the best of everything and packing it into a mobile, killing machine. Smart design was the key to tank development. As the Germans widened their trenches, the tanks got longer. Some major innovations included simply sloping the armour, this meant that bullets and shells had to chew through more armour to get through and the slope deflected the impact. Russian tanks develop long snorkels so they could cross European rivers during the Cold War. Concrete crossing points were even found in the West after the wall came down! The business end of the tank is the gun barrel. This is what gives it menace. Accurate to within feet at five and half kilometres they destroy their target every time. In a rather sad story, the ex-tank driver told us that only one Challenger had ever been taken out in battle, in the Gulf War. A crew had gone off grid for a spot of sunbathing. Another Challenger had spotted it and at 5 kilometers had gone all the way up the chain of command. They fired and killed the entire crew, who would have known nothing about it. The barrels are clad, with sights and cameras down their length as even the sun shining on one side will heat one side up and introduce aim errors. Depleted Uranium tipped shells work just through kinetic energy. They punch a small hole on their target tank, literally liquidise the crew and produce pressure so great that it pushes the liquidised contents back out of the hole. But it’s now the software that sets targets, identifies threats, controls fire and navigates the tank that is important as its hardware. It’s the calculations made of cost of manufacture, fuel consumption and numbers that matter. A T34 sits there with a roughly cast turret and no frills. They gave their tank crews padded helmets, rather than padding the tanks, saving time and money and although crudely built, they made 84,000 of them with handles for troops to hang on to. The Easter front became a war of attrition with the Russians simply outnumbering the Germans in tanks and men. They also used small Mongolian tanks crew. The rest is history. Technology is often unpredictable and the tank was to develop into a remarkable flexible workhorse, with grappling hooks to pull back tangles of barbed wire and create a gap for troops and horses, mine clearer with a huge rack of ball and chains up front for triggering mines, train tanks mounted on rails, amphibious tanks, anti-aircraft tanks and so on. There were even fire breathing tanks for burning snipers and troops alive. If their crews were caught they were executed by the Germans on the spot. They were used for many more purposes than were ever imagined when they were first built. A serious consequence in the military is fossilised practice, where hardware contracts often stretch out to as long as 30 years, with an inbuilt resistance to change, especially when the weapons become embedded and locked into regimental structures. If we see a tank on our TV screens today, it’s likely to be the state using it on its own citizens. We saw it with Gadhafi and now see it with Assad. In these circumstances it’s a blunt and brutal instrument, used to shell urban areas, with many civilian casualties. Like most technology, it has largely had its day. There are no British tanks in Afghanistan. Why they’re too heavy to fly in and we’d never be able to fly them out as the air is too thin and the last thing we want is to leave them behind! Besides, in modern urban warfare, tanks are cumbersome. They’re too big to get down streets, vulnerable to ambush and wreck the roads and drainage systems. The last major tank on tank battle was in 1967 – the Yom Kippur War. The British Army has 300 tanks and they’re scrapping 250 of them. In the end tanks lock personnel into relatively easy to identify targets so tanks are giving way to smaller, more flexible, all-purpose, armed vehicles. One need only watch the visitors at The Tank Museum and the newly built tank track stadium for summer events to see that many are fond of tanks and see in them a symbol of power and victory, especially for the British, who invented the tank. Even now they look and sound like dinosaurs, beasts from the past. Tanks appeared at the start of the 20th century and are now being mothballed. They were the land weapon of choice for nearly 70 years. In the end newer technologies, especially accurate missiles fired from the air, and now from drones, threaten their very existence. So we’re back at our first rule, technology changes the rules, again and again and again. Resistance is futile – even if you have a tank! Marshall McLuhan is the man. He understood the towering role that technology has played in cultural development. The ‘medium is the message’ and ‘global village’ have so much resonance that they almost tip over into cliché. In many ways he was both an analyst of media and technology but also a visionary. He predicted the web, invented the word ‘surfing’ for casual fragmentary media browsing and gave us the concept of ‘the global village’. Although he was dealing with the media a decade before the internet, his ideas, endure, and he has much to offer those who are interested in the impact of technology in learning. Although put forward as a savant on electronic media, especially TV, he was strongest in his analysis of print media. In The Gutenburg Galaxy: The Making of Typographic Man, he explores the relationship between media (writing, print and electronic) to the individual mind and then to society. Media are seen as extensions of mind, but not always additive. Print, he thinks, brings in a linear, sequential mode of thought that sometimes simplifies, separates and subsumes other modes (such as hearing). Print is the technology of individualism. This work has huge relevance for learning technology, as we have seen the rise of the internet which is not really a medium as such but a delivery network for a huge range of media types and combinations. McLuhan argues that dominant media shape us cognitively and shift the balance between sense -ratios. Arguments now rage about the effects of video-games, txting and social networking on the minds of young people. There is certainly a challenge to the print-dominated Gutenberg world, by a more fragmented, mosaic visual culture, delivered online. McLuhan I’m sure, would have been excited by the fact that we, to a degree, interact, participate and share through new media. What is refreshing is that McLuhan had no time for dull moralising around technology. He was neither evangelist nor traditionalist, seeing technology as something that demanded serious study. In Understanding Media: The Extensions of Man he defines media as defining ourselves and society. The invention of alphabets and writing radically altered our minds and our relationship with the world. His famous ‘medium is the message’ became the foundation stone for media and technology studies. Famously misprinted by the publisher as ‘The Massage is the Medium’, McLuhan loved the error. His point was that each medium has a set of intrinsic qualities that changes our relationship with the world. Speed, replication, pattern, scalability are all features of media which shape the nature of the message. The tools we shape, also shape us and the culture we develop, and we have to understand this process. The lesson we learn from McLuhan is that technology can shape not only what we learn but how we learn. The medium is the message could be translated as the medium is the mentor. Learning technology brings with it an implied pedagogy. Later commentators such as Kevin Kelly and Lanier took up the challenge of exposing how technology can both liberate and trap users. Few realise the profound causal effect writing, the alphabet, manuscripts, books, printing, chalkboards, slates, and now new media, have on the process of learning. In learning technology, McLuhan’s idea that technology itself shapes our social world is coming to pass. Millions now search for knowledge and solutions through Google, download books, learn at a distance using electronic media, the printed encyclopedia is dead replaced by Wikipedia, video has risen as a learning medium, the blogosphere has expanded, social media have exploded in popularity. This has already had a profound influence on how we teach and learn and will continue to change the learning landscape. McLuhan understood that old media get carried over into new media, novels into movies, movies into TV, movies into computer games. This is certainly true in learning technology where lectures get carried over through lecture capture and e-learning adopts the structure of traditional course structures and that PowerPoint is just another in a long line of technologies from the blackboard invented in the late 18th century through to overhead projectors, which preserve the ‘teacher as presenter’ pedagogy. This idea of seeing new media through the ‘rear-view mirror’ is in McLuhan and we can see this in the way the internet is often mistakenly seen as a vehicle for the distribution of old media and not a radical shift in itself. Many large organisations have gone to the wall on the back of this myopic and backward looking view. The media master’s messages are even more relevant today than they were in his pre-internet lifetime. ‘Discarnate man’ is the non-corporeal nature of our own role in communication and media consumption. Is this alienating? Or is the internet taking us back to a more connected world with social media? The ‘global village’ was prompted by the global success of TV. Billions can watch major sports events and popular dramas. But this concept was to prefigure something that was truly global – the internet. His proposition of ‘Centers everywhere, margins nowhere’ has come to pass. File sharing has reshaped the music industry, is decimating the newspaper industry and Amazon is proving any book you wish, increasingly downloaded online. Old corporations have died, some are adapting to the new world, new ones arise. We as consumers are also producers, everyone can be a publisher. What does it enhance or amplify in the culture? What does it obsolesce or push out of prominence? What does it retrieve from the past, from the realm of the previously obsolesced? What does the medium reverse or flip into when it reaches the limits of its potential? These are incisive questions. I have no doubt that online learning technology enhances learning and through its scalability amplifies knowledge and learning globally. I also have no doubt that it will democratise, decentralise and disintermediate the learning game, pushing out dated lectures, classroom practice and limited media mix. Unfortunately this process is hindered by forces that insist on retrieving old models and replicating them online. I personally find McLuhans books frustrating in their lack of argument and rigour but one can forgive someone who generates so many ideas for failing to explain each in absolute detail. Indeed, he himself famously said ‘I do not explain, I explore’ but this can lead to problems. His definition (or lack) of media is odd as he conflates technology with media or hardware with software. At other times his language is too narrow. Media, for McLuhan, are divided into hot (low audience participation, such as print) and cool (high audience participation, such as TV). It is not clear that this distinction survives in our multimedia, internet age where the metaphor tends to quickly disintegrate. However, his analysis of the effect of different types of media are strong and remain relevant. Indeed, the advent of the internet has thrown much of McLuhan’s analysis in the air, as it has many dimensions that prove difficult to fit into these older dualistic categories. 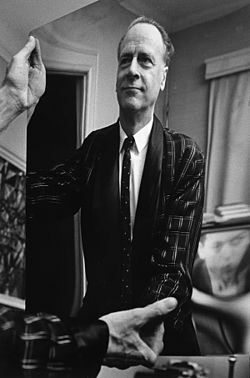 McLuhan tended to use the language of opposites in analysis when subtler and more nuanced approaches would have revealed more. Examples include hot/cold, print/hearing, mechanical/organic, static/fluid, neutral/magical. Many of these oppositions are rendered difficult or obsolete with the range of complex technology now available, especially online. McLuhan opened the door for serious scholarship in media and technology. He can be infuriatingly non-scholarly, but brilliantly creative. Paul Levinson’s book Digital McLuhan takes McLuhan’s themes one by one and applies them to the digital age. Needless to say, Levinson shows that many of his insights (not all of course) into the nature of media were profound and many of his ideas about the way media and technology impact individuals and society were prescient. Amusingly, he appeared in the Woody Allen film Annie hall, as himself, saying ‘You don’t know my work’. McLuhan, Marshall (1962). The Gutenburg Galaxy: The Making of Typographic Man. New York: Routledge. McLuhan, Marshall (1964). Understanding Media: The Extensions of Man. Gingko. McLuhan, Marshall (1967). The Medium is the Massage. Gingko. McLuhan, Marshall (1968). War and peace in the Global Village. Gingko. McLuhan, Marshall (1989). The Global Village. Gingko. Levinson, Paul (1999). Digital McLuhan: A Guide to the Information Millenium. Routledge.